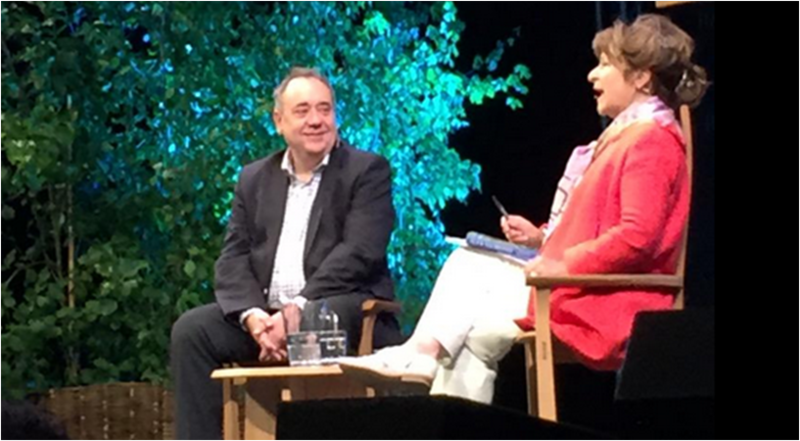 Today I visited The Hay Festival for the second time. I went last year to get a feel of it, and to visit the town. Last year, I remember the festival being busy. It was a nice May day, and it was great to be surrounded by people interested in literature. Today, I went on the last day of the festival and found it quiet. The mood was sombre, as if people were getting over a hangover. I think this was because the festival was coming to an end. It wasn’t all doom and gloom. The rain held off, although it was a bit windy, and when we were walking around everyone seemed in their element. It was a book lovers dream. I found it interesting visiting the book stores and seeing people queue up, ready to meet their chosen authors. The town was wonderful, and I’m always amazed with how extravagant the book stores are in this town of books. I would have liked to attend the festival on a warmer day, when more was going on. But nestled in the country, mountains surrounding it, its feels like a writers home.